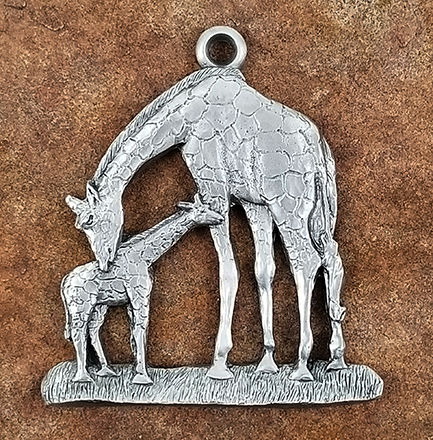 The Giraffe Pewter Ornament shows a loving moment between mother and child. 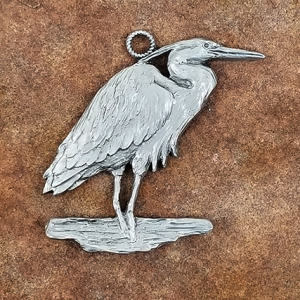 A touching addition to your holiday or home decor, this pewter ornament brings the spirit of nature to your home in sophisticated style. 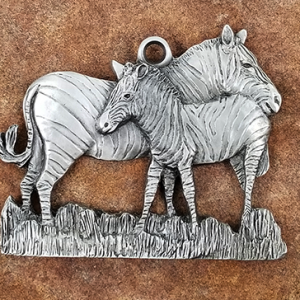 The Giraffe Pewter Ornament makes a memorable gift for any animal lover. Approx. 2.75″ in diameter. FREE SHIPPING within the 48 US states. Please inquire for international shipping. We ship out in 2-5 Business Days. Call (414) 510-7963 for expedited shipping. The Giraffe is truly one of Africa’s icons. Proceeds from the sale of this ornament and other wildlife ornaments at Schumann Sculpture will be donated to Giraffe Conservation Foundation www.giraffeconservation.org . Thanks for supporting the Giraffes and the Arts. 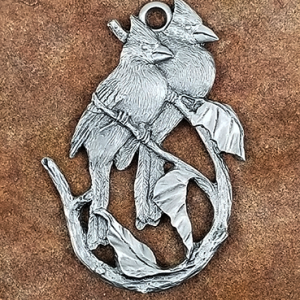 The Giraffe Pewter Ornament shows a loving moment between mother and child. A touching addition to your holiday or home decor, this pewter ornament brings the spirit of nature to your home in sophisticated style. The Giraffe Pewter Ornament makes a memorable gift for any animal lover. 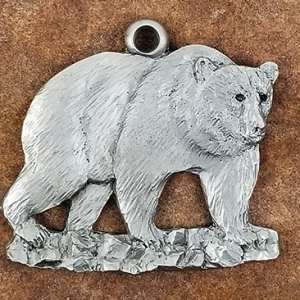 This product is hand sculpted and individually hand finished by internationally collected Wildlife Artist, Andy Schumann. Great attention is applied to detail, figurative exactness, finishing and presentation. All ornaments are approx. 2.75″ in diameter.